Share the joy of the season with tots and families in need of a helping hand. 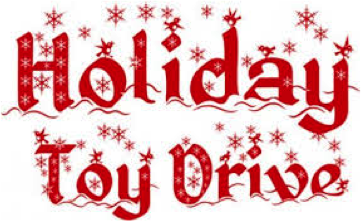 Donate a toy to the annual Holiday Toy Drive sponsored by Representative Bruce Ayers who works with groups across the community. As you are out and about making your holiday purchases consider picking up a toy for a child in need right in our own community. call him at (617) 328-0102. Thanks for your help in making the holidays bright for every child! This entry was posted in Fundraiser, News, Things to do by Monica. Bookmark the permalink.